Max. speed: approx. 6.0 mph. *180 lbs. /82kg rider on level terrain with few stops can expect approximately 36 miles (57 km) with 2 x 280 Watt/hour Li-ion batteries. Lighter riders can expect longer distances, heavier riders can expect shorter distances. 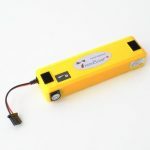 The TravelScoot Deluxe 560 weighs 38 lbs (17 kg) with two of our air-travel-approved 280 Watt-hour lithium-ion batteries. It’s the perfect companion for anything from a quick trip to the grocery store to extensive international travel. The all new high output Lithium Ion batteries has increased the driving distance without increasing the cost. 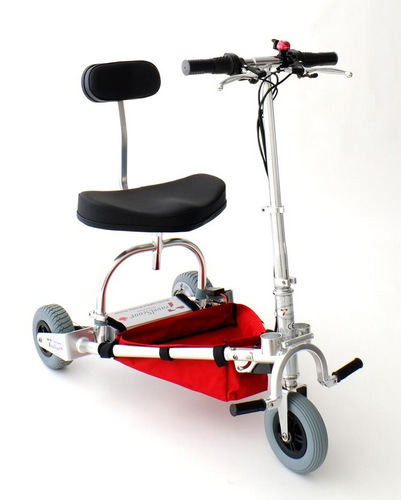 The TravelScoot Deluxe 560 is also available in a Junior version for those under 5′ in height.